In this, his first book in over a decade, Rev Al will take you behind the scenes of some unexpected places – from officiating Michael Jackson's funeral, hanging out with Jay-Z and President Barack Obama at the White House, to taking charge of the Trayvon Martin case. And he will discuss how he came to his unexpected conclusions in such areas as Immigration, Gay Rights, Religion and the Family. 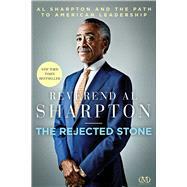 _ But the heart of the book is an intimate discussion of his own personal evolution from street activist, pulpit provocateur and civil rights leader to the man he is today - one hundred pounds slimmer, and according to the New York Observer “the most thoughtful voice on cable.” _ No, the Rev. Al you met ten years ago isn’t the same man you’ll meet today. And he has a simple promise: We can transform this nation and we can all lead better lives if we're willing to transform our hearts and transform our minds. Reverend Al Sharpton is a political and social activist and one of the nation’s most-renowned civil rights leaders in the fight against injustice. He is the founder and President of the National Action Network (NAN), a not-for-profit civil rights organization headquartered in Harlem, New York, with over sixty chapters nationwide including a Washington, DC Bureau and regional offices from coast to coast. Reverend Al is currently the host of PoliticsNation, a daily television show on MSNBC; Keepin’ It Real, a nationally syndicated radio show; and House of Justice, a weekly Saturday broadcast from NAN’s Harlem Headquarters.